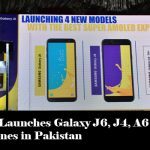 Vivo V15 and V15 Pro Smartphones now available in Pakistan in affordable price with cutting-edge technologies including With Pop-up Selfie Camera and AI Triple Camera. Are you looking to buy an affordable smartphone with advance technology you are right here and the Vivo V15 and V15 are the ideal choice for you. Vivo has launched the V15 and V15 Pro smartphones in Pakistan at a star-studded event in Lahore. The V15 Series carries the first model beyond the NEX to feature the industry’s first 32MP Pop-up Selfie Camera with upgraded AI technology that takes pro-photography on the smartphone to another level, plus the in-display fingerprint scanning. Vivo V 15 comes with a 6.53-inch touchscreen display with 1080×2340 pixels of resolution and an aspect ratio of 19.5:9. It is powered by a 2.1GHz octa-core MediaTek Helio P70 processor and runs on the Android 9.0 Pie operating system. The V15 smartphone comes with 6GB of RAM, 64GB of internal storage that can be expanded up to 256GB via microSD card. The Vivo V15 is a dual sim device that is powered by a 4,000mAh battery, which supports branded fast charging. It is packed with triple cameras a 12-megapixel rare facing camera with an f/1.78 aperture and an 8-megapixel camera with an f/2.2 aperture and a third 5-megapixel camera with an f/2.4 sensor. On the other hand the front facing camera is clogged at 32-megapixel camera for selfies, with an f/2.0 aperture. In terms of connectivity the Vivo V15 smartphone includes Wi-Fi, GPS, Bluetooth v4.20, USB OTG, Micro-USB, FM radio, 3G, and 4G. It also supports face unlock and includes accelerometer, ambient light sensor, compass/ magnetometer, gyroscope, proximity sensor, and fingerprint sensor. The dimensions of the Vivo V15 are 161.97 x 75.93 x 8.54mm (height x width x thickness) and weighs 189.50 grams. It is available having Topaz Blue and Coral Red colour options. Vivo V15 Pro comes with a 6.39-inch touchscreen display with 1080×2340 pixels of resolution and an aspect ratio of 19.5:9. It is powered by an octa-core Qualcomm Snapdragon 675 processor and runs on the Android 9.0 Pie operating system. The V15 Pro smartphone comes with 6GB of RAM, 128GB of internal storage that can be expanded up to 256GB via microSD card. The Vivo V15 Pro is a dual sim device that is powered by a 3,700mAh battery, which supports branded fast charging. It is packed with triple cameras a 48-megapixel rare facing camera with an f/1.8 aperture and an 8-megapixel camera with an f/2.2 aperture and a third 5-megapixel camera with an f/2.4 sensor. In terms of connectivity the Vivo V15 Pro smartphone includes Wi-Fi 802.11 a/b/g/n, GPS, Bluetooth v5.00, Micro-USB, 3G, and 4G. The dimensions of the Vivo V15 Pro are 157.25 x 74.71 x 8.21mm (height x width x thickness) and weighs 185.00 grams. It is available having Blue Topaz and Ruby Red colour options. 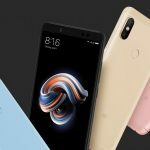 Vivo V15 and V15 Pro Smartphones are already up for pre-orders in Pakistan in Rs. 49,999 and Rs. 64,999 respectively. Vivo V15 and V15 Pro Are Budget Friendly Smartphones with Cutting-Edge Technologies. 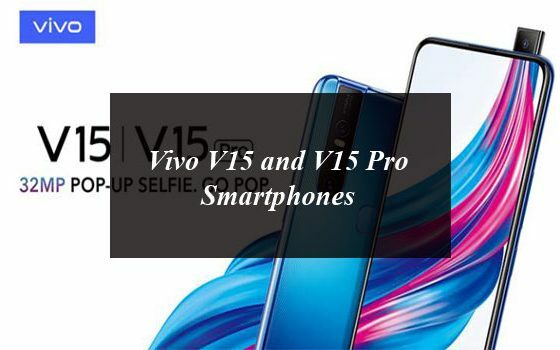 Vivo V15 and V15 Pro Smartphones now available in Pakistan in affordable price with cutting-edge technologies including With Pop-up Selfie Camera and AI Triple Camera.